FLARE 5 FLARE 5 The FLARE 5 represents the next level in motorcycle wheel design. 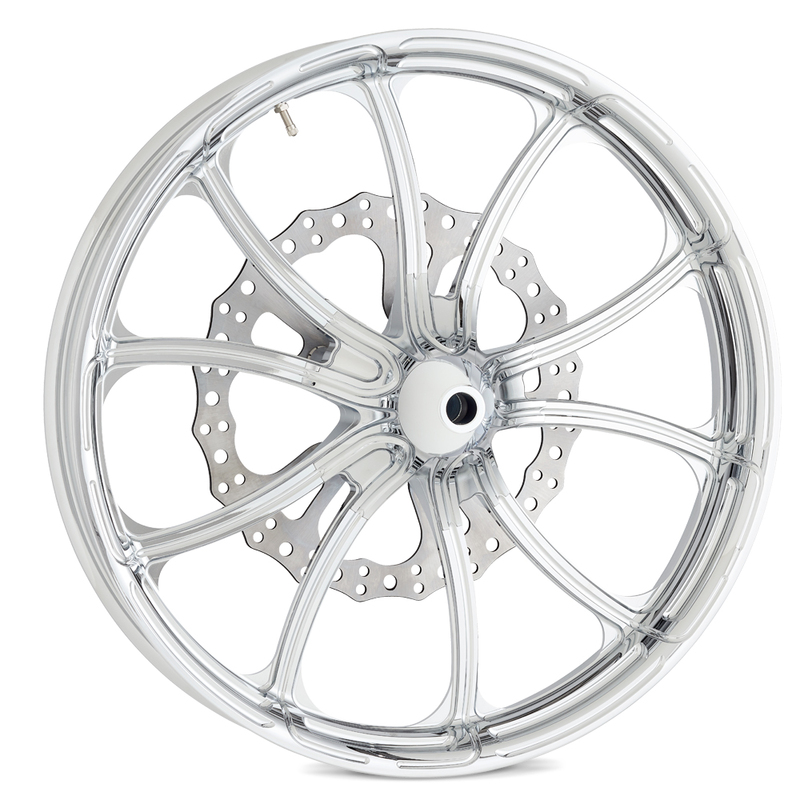 Sculpted CNC features extend from the axle all the way to the outer edge of the rim lip. 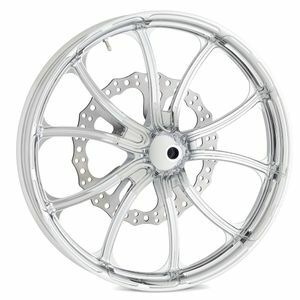 Its multi-piece design features a radial forged rim, forged hub covers, hidden cartridge hub and spoke mounted rotors for a combo never before seen in the v-twin aftermarket. FLARE 5 is the first design in the Ness Multi-piece Premium wheel series.